A standby generator comes in handy when the power goes out, but it’s important to follow these safety tips when using one. 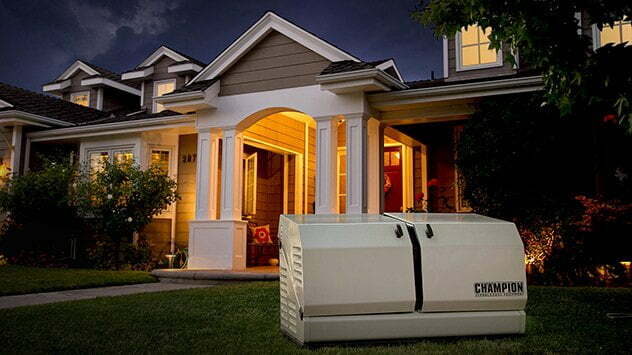 If your electricity goes out due to snow and ice, a generator can keep power flowing to your home or business. The Outdoor Power Equipment Institute, an international trade association representing small-engine, utility vehicle and outdoor power equipment manufacturers and suppliers, reminds home and business owners to keep safety in mind when using generators. 1. Take stock of your generator. Make sure the equipment is in good working order before starting and using it. Do this before a storm hits. 2. Review the directions. Follow all manufacturer’s instructions. Review the owner’s manuals (look manuals up online if you cannot find them) so equipment is operated safely. 3. Install a battery-operated carbon monoxide detector in your home. This alarm will sound if dangerous levels of carbon monoxide enter the building. 4. Have the right fuel on hand. Use the type of fuel recommended by the generator manufacturer to protect this important investment. It is illegal to use any fuel with more than 10% ethanol in outdoor power equipment. (For more information on proper fueling for outdoor power equipment visit ). It’s best to use fresh fuel, but if you are using fuel that has been sitting in a gas can for more than 30 days, add fuel stabilizer to it. Store gas only in an approved container and away from heat sources. 5. Ensure portable generators have plenty of ventilation. Generators should never be used in an enclosed area or placed inside a home, a building, or a garage, even if the windows or doors are open. Place the generator outside and away from windows, doors and vents that could allow carbon monoxide to drift indoors. 6. Keep the generator dry. Do not use a generator in wet conditions. Cover and vent a generator. Model-specific tents or generator covers can be found online for purchase and at home centers and hardware stores. 7. Only add fuel to a cool generator. Before refueling, turn the generator off and let it cool down. 8. Plug in safely. If you don’t yet have a transfer switch, you can use the outlets on the generator. It’s best to plug in appliances directly to the generator. If you must use an extension cord, it should be heavy-duty and designed for outdoor use. It should be rated (in watts or amps) at least equal to the sum of the connected appliance loads. Make sure the cord is free of cuts, and the plug has all three prongs. 9. Install a transfer switch. A transfer switch connects the generator to the circuit panel and lets you power hardwired appliances. Most transfer switches also help avoid overload by displaying wattage usage levels. 10. Do not use the generator to “backfeed” power into your home electrical system. Trying to power your home’s electrical wiring by “backfeeding” — where you plug the generator into a wall outlet — is dangerous. You could hurt utility workers and neighbors served by the same transformer. Backfeeding bypasses built-in circuit protection devices, so you could damage your electronics or start an electrical fire.